The elder brother of slain businessman Jacob Juma now wants police to investigate the wife of the deceased, Miriam Wairimu, and controversial billionaire Jimmy Wanjigi (Juma’s long time friend). Francis Shiundu Juma claims that police should probe allegations that businessman Wanjigi and Ms Wairimu went to Jacob Juma’s house in Karen after his death in search of some documents that he didn’t disclose. The brother further wants police to dig deep to unearth the relationship between the late Juma, Wanjigi and Wairimu. “The family would want to know why he also helped to raise funds for the burial,” Shiundu said in a statement. After Juma was killed last year on May 5, Mr Wanjigi was very active in helping the family to plan the burial and seeking speedy investigations into the murder. Mr wanjigi also recorded a statement at the Directorate of criminal investigations (DCI) where he claimed that they had been friends with Juma for 10 years but never conducted any business with him. “I did not socialize or do business with Jacob Juma,” Mr Wanjigi said. 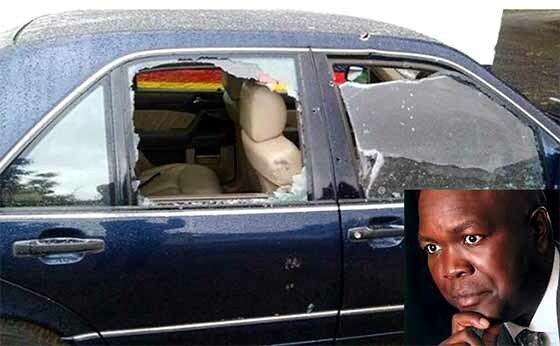 Juma was shot dead by unknown assailants as he drove to his Karen home on the night of May 5, 2016, and his vehicle found along Ngong Road. The businessman was buried on May 15 in Mungore village, Bungoma County but his murder is yet to be solved.